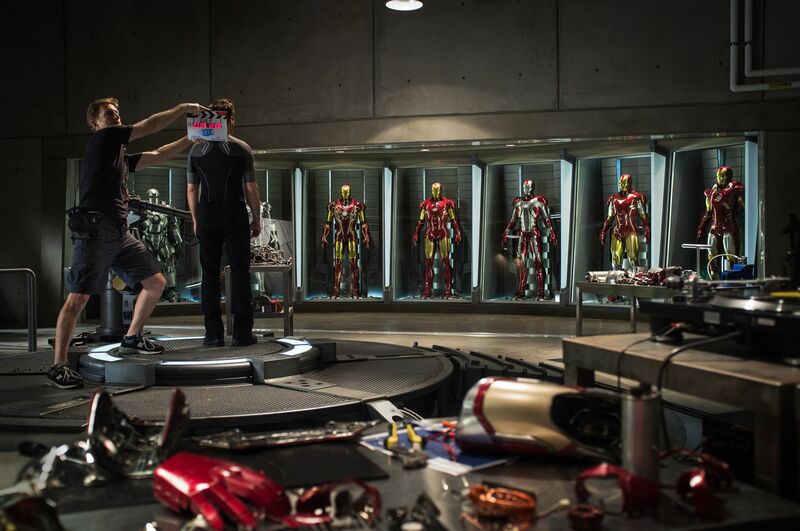 Last week, we showed you some unofficial set photos from Iron Man 3. Disney has now released the first official set photo, and while it won’t blow anyone’s mind, it’s still nice to see all the various Iron Man armor lined up. For some reason, Tony Stark even has the Iron Man: Mach-1 armor, which I thought was lost in the desert. I also wish a couple of the pods didn’t have the full armor, but just a suitcase or some bracelets. Hit the jump to check out the set photo. The film stars Robert Downey Jr., Ben Kingsley, Gwyneth Paltrow, Don Cheadle, Rebecca Hall, James Badge Dale, Ashley Hamilton, and Guy Pearce. Iron Man 3 opens May 3, 2013. 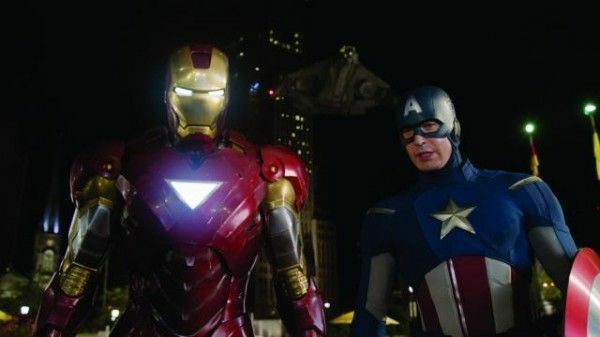 Following in the footsteps of the record-breaking Marvel Studios’ release “Marvel’s The Avengers,” production on the highly anticipated film “Iron Man 3,” directed by Shane Black, has commenced production in Wilmington, North Carolina. The production schedule will also include locations in Raleigh/Durham, North Carolina, Miami, Florida and China. 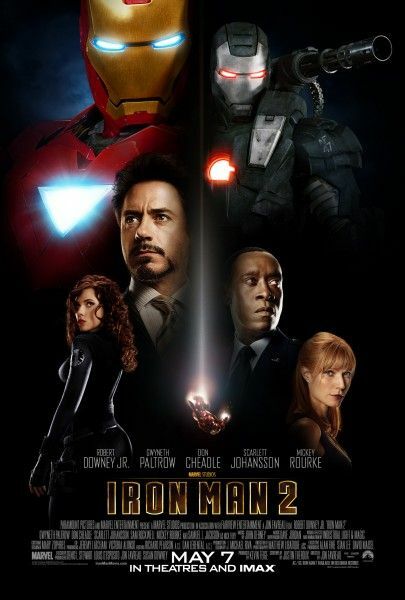 Based on the ever-popular Marvel comic book series, first published in 1963, “Iron Man 3” returns Robert Downey Jr. (“Iron Man,” “Marvel’s The Avengers”) as the iconic Super Hero character Tony Stark/Iron Man along with Gwyneth Paltrow (“Iron Man,” “Iron Man 2,”) as Pepper Potts, Don Cheadle (“Iron Man 2”) as James “Rhodey” Rhodes and Jon Favreau (“Iron Man,” “Iron Man 2”) as Happy Hogan. Set for release in the U.S. on May 3, 2013, Marvel’s “Iron Man 3” marks the second feature to be fully owned, marketed and distributed by Disney, which acquired Marvel in 2009. “Iron Man 3” continues the epic, big-screen adventures of the world’s favorite billionaire inventor/Super Hero, Tony Stark aka “Iron Man.” Marvel Studios’ President Kevin Feige is producing the film. Executive producers on the project include Jon Favreau, Louis D’Esposito, Alan Fine, Stan Lee, Charles Newirth, Victoria Alonso, Stephen Broussard and Dan Mintz. The creative production team on the film includes two-time Oscar®-winning director of photography John Toll, ASC (“Braveheart,” “Legends of the Fall”), production designer Bill Brzeski (“The Hangover,” “Due Date”), editors Jeffrey Ford, A.C.E. (“Marvel’s The Avengers,” “Captain America: The First Avenger”) and Peter S. Elliot (“Fantastic 4: Rise of the Silver Surfer”), and costume designer Louise Frogley (“Quantum of Solace,” “Contagion”). Marvel Studios most recently produced the critically acclaimed “Marvel’s The Avengers,” which set the all-time, domestic 3-day weekend box office record at $207.4 million. The film, which is currently in release, continues to shatter box office records and is The Walt Disney Studios’ highest-grossing global and domestic release of all time and marks the studios’ fifth film to gross more than $1 billion worldwide. In the summer of 2011, Marvel successfully launched two new franchises with “Thor,” starring Chris Hemsworth, and “Captain America: The First Avenger,” starring Chris Evans. Both films opened #1 at the box office and have grossed over $800 million worldwide combined. In 2010 “Iron Man 2,” starring Robert Downey Jr., Gwyneth Paltrow, Don Cheadle, Scarlett Johansson and Mickey Rourke, took the #1 spot in its first weekend with a domestic box office gross of $128.1 million. In the summer of 2008, Marvel produced the summer blockbuster movies “Iron Man” and “The Incredible Hulk.” “Iron Man,” in which Robert Downey Jr. originally dons the Super Hero’s powerful armor and stars alongside co-stars Terrence Howard, Jeff Bridges and Gwyneth Paltrow, was released May 2, 2008, and was an immediate box office success. Garnering the number one position for two weeks in a row, the film brought in over $100 million in its opening weekend. On June 13, 2008, Marvel released “The Incredible Hulk,” marking its second number one opener of that summer.